Keep termites out, and you keep almost every pest out. When it comes to buildings, pest control regulators, and pest control researchers, pay far more attention to termite control than to the control of any other insect or pest. Nothing comes close. Termites are America’s most destructive insect. A recent investigation by Pest Control Technology magazine researched all the expert estimates of termite damage across the United States. Estimates ranged from $1.5 billion to $22 billion per year. The variation is huge. But all agree that there is no more destructive pest. Termites are so tiny. Because they are only 1/50 inch they can work their way through cracks, joints, and openings which you can’t even see. Termites are so numerous. According to the University of Florida, a single Formosan subterranean termite colony may contain several million termites. 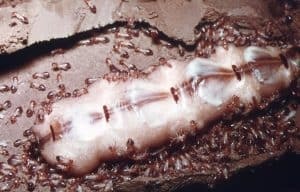 If you are fortunate to live outside of the Formosan area, you probably have only the native subterranean termites, with several hundred thousand in a colony. In termite intensive coastal areas, it is common to have several colonies close to your building. Almost all of these termites are searching for a way to get inside. They are searching for food (wood)., protection from predators, warmth, and shelter. Termites chew their way in. Other insects simply forage, which means that they search for an opening. But foraging termites can chew through many construction materials, including plastics, most sealants, plaster, foam insulation, wallboard, cloth, and thin copper or lead sheeting. Termites reproduce like nothing else. Wherever there is a termite colony, there is a termite queen. She lies helpless on her back and is attended by hundreds of servants. The queen can produce up to 2000 eggs a day. She lives for 15 years, so if you do the math that’s about 11 million offspring over her lifetime. Even new structures have many termite entry points. Underground, termites can enter through joints, slab penetrations for plumbing or electrical, or bath traps and mop sinks. As a structure ages, forces of nature such as soil settlement, wind, heat/cold cycles, wet/dry cycles, and expansive soils act on the structure and its components. 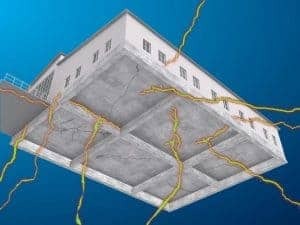 The result is concrete cracks and new or enlarged gaps between components. Above ground, termites can climb exposed concrete perimeter of the structure by traveling through protective mud tubes. 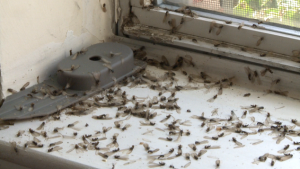 Additionally, seasonal swarms of flying termites (after rainfall on warm days) can cause termite accumulation, and possible entry, all around the structure. TERM Barriers have been designed to eliminate most entry points for termites and other foraging pests. If TERM Water|Termite Barriers are built in during construction, the structure will not only be waterproofed, but also be covered underground and above ground at gaps, with an elastomeric envelope which blocks termites. TERM Barriers are designed to eliminate entry points for termites and other foraging pests. If TERM Water | Termite Barriers are built in during construction, the structure will not only be waterproofed but also be sealed underground and above ground at gaps, with an elastomeric envelope which blocks termites. The termite barrier technology results from 18 years of work with entomology scientists from Texas A&M and other universities. Over the years, Polyguard has produced close to 1 billion square feet of sheet materials which incorporate a waterproofing sealant. 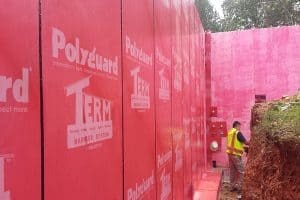 Polyguard’s waterproofing sealant has been upgraded with a non-chemical termite and pest barrier to create the heart of the TERM Barrier System. 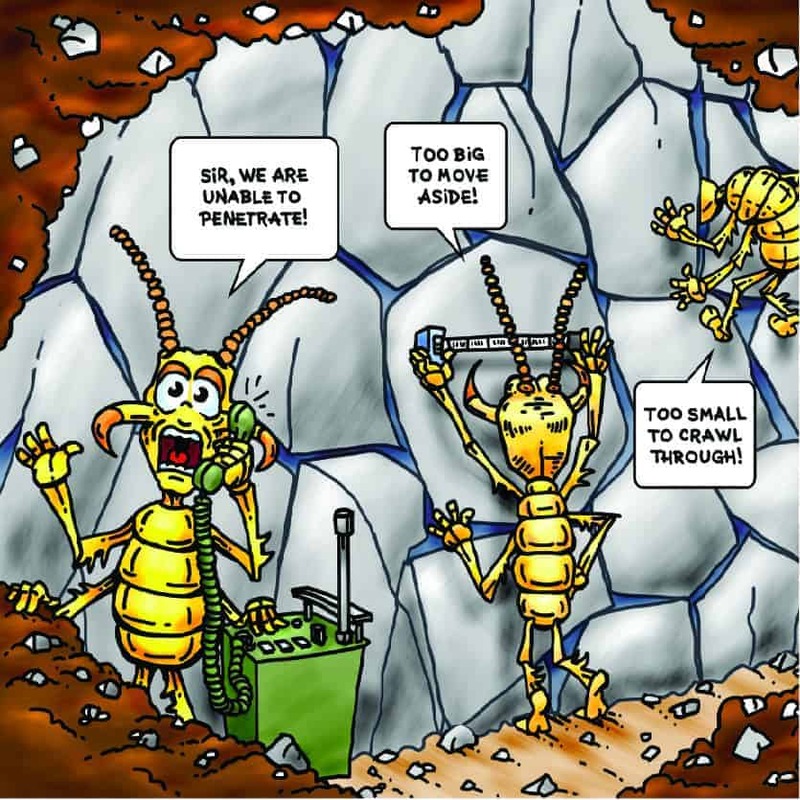 Stones, which are engineered to act as a termite barrier, are widely used in Hawaii, Australia, and other parts of the world where severe termite problems exist. TERM particle barrier is exactly sized and shaped stone particles. 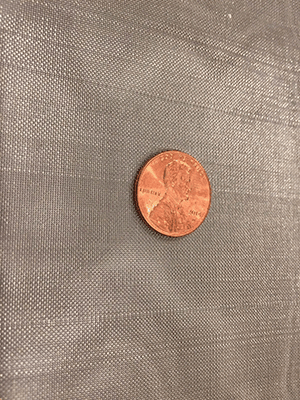 These particles are sized between 8 and 14 mesh. At 8 mesh the particle is still classified as a small stone granule, at 14 mesh the particle is classified as very coarse sand. In addition to size, another important factor is its angularity, which enables TERM Particle Barrier to pack together firmly. Once these stone particles are installed, termites can’t tunnel up from underneath and can’t tunnel down from the building to get moisture from the soil. They can’t crawl through the particles and they can’t move the particles. The colony then can’t get the moisture it needs to survive. Termite screens were developed in Australia (Termimesh®) and spread across the Pacific Rim. In the U.S., a number of termite screen installations have been made, primarily at plumbing penetrations. Termite screens have two key properties. Ones corrosion resistance and the other is tiny aperture size. Openings on termite screens are 0.018″ (1/50th inch), which is small enough to block termites and every other pest. The TERM Barrier System uses termite screens in bath traps and masonry weeps.